An S1 visa and the corresponding “residence permit for private affairs” are for family members of a foreign national working or studying in China, and the applicant’s intended duration of stay must be more than 180 days. This article provides an overview of S1 visas / residence permits for private affairs. It is not exhaustive. What’s the difference between a visa and a residence permit? Only certain “family members” of foreign nationals working or studying in China may apply: you must be the worker or student’s spouse, parent, son or daughter under the age of 18, or parent-in-law. If your intended duration of stay is under 180 days, you don’t qualify for an S1 visa or residence permit for private affairs. Consider applying for an S2 visa instead. Basic documents for a PRC visa application may include passport, photo, visa application form, visa fee, proof of residence or legal stay for third-country nationals, evidence of name change, photocopy of prior passport with PRC visas, and additional documents for applicants of Chinese descent. an invitation letter from the worker or student with information about the applicant (full name, gender, date of birth, etc. ), the visit (purpose of visit, arrival and departure dates, place of intended residence, relationship between the parties, source of financial support, etc. ), and the worker or student (name, contact number, address, signature, etc.). a photocopy of the worker or student’s passport and residence permit (if he or she has already entered China). Note that the residence permit must be valid for over 180 days. original and photocopy of certification of relationship between the parties (marriage certificate, birth certificate, certification of kinship issued by Public Security Bureau or notarized certification of kinship). It’s recommended that you apply a month before your planned trip to China. Normal processing time is 4 business days. Expedited service may be available. An interview may be required. See Who needs an interview at the Chinese Embassy or other visa issuing agency abroad? Documents required and procedures may vary at each PRC embassy, consulate, or other visa-issuing agency, so which with local authorities. The visa will be valid for a single entry within 30 days. Within 30 days of entering China, apply for a residence permit at the local public security bureau’s entry-exit office. Note that the Ministry of Public Security has not yet issued nationwide rules on residence permits per China’s new Exit-Entry Administration Law, so local practices vary significantly. For example, Beijing has issued provisional procedures effective Sept. 5, 2013. The basic documents for a residence permit include passport with S1 visa, application form, filing fee, temporary residence registration form from the local police station, and 2 passport-style photos. In addition, a health certificate from the designated local medical center is required for initial residence permit applicants, unless exempt due to age under local rules (e.g., Beijing exempts applicants under age 18; Shanghai exempts applicants under age 18 or over age 70). Proof of relationship (e.g., marriage certificate or birth certificate). If the certificate is not issued by the Chinese government, it must be authenticated by a PRC consulate in the country of issuance or otherwise comply with local rules (e.g., Beijing and Shanghai will accept a certificate issued by a foreign consulate in China). Copies of your family member’s unit’s business license, enterprise code certificate (组织机构代码证), and official invitation letter, if required by local rules (e.g., Shanghai but not Beijing). A letter guaranteeing your support and your compliance with PRC laws from your family member, if required by local rules (e.g., Shanghai; Beijing if you entered with a visa other than an S1). Local rules may require the applicant to apply in person and be interviewed unless specifically exempt. See here for processing times. The period of validity of the residence permit will be determined by local rules. In Beijing, the permit will be for the same period of validity as your family member’s residence permit for work or study, provided that it is not shorter than 180 days. Temporary Residence Registration is required at the local police station within 24 hours of entry and upon issuance of the residence permit. No work authorization: A person in China with an S1 visa or residence permit for private affairs is not authorized to work. Consider applying for a work-related visa and residence permit. Extension of the residence permit: See How early must an application for a visa, stay certificate, or residence permit be filed with the Exit-Entry Administration? For S1 and S2 visas it says, “Only certain “family members” of foreign nationals working or studying in China may apply: you must be the worker or student’s spouse, parent, son or daughter under the age of 18, or parent-in-law.” What kind of visa should a DEPENDENT child of a teacher (on Z-visa) who is 18 years or older be getting? (1) for an 18+ yr old still in high school and living in China with his parents? (2) for an 18+ yr old in college in his home country but coming to visit for winter or summer holidays? For the age 18+ child in college abroad but coming to China for vacation, the answer seems straightforward: The “family members” who may be invited with an S2 are defined more broadly than for an S1. 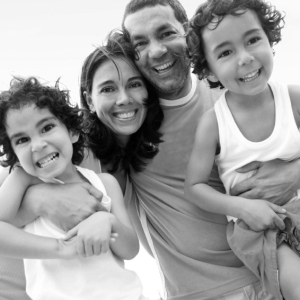 They are the same types of relatives who qualify for a Q1, and include sons and daughters regardless of age. Key documents include: (1) an invitation letter from the foreign national in China with information about the applicant (full name, gender, date of birth, etc. ), the visit (purpose of visit, arrival and departure dates, places to be visited, relationship between the parties, source of financial support, etc. ), and the inviting relative (name, contact number, address, signature, etc. ); (2) a photocopy of the inviting individual’s passport and residence permit for work; and (3) original and photocopy of certification of relationship between the parties (marriage certificate, birth certificate, certification of kinship issued by Public Security Bureau or notarized certification of kinship). See Ministry of Foreign Affairs Notice Spells Out China’s New Visa Categories. For the age 18+ son in high school in China, the answer may turn on local PSB policy. What city does the parent with a resident permit for work reside in? Does this “OR” mean someone on a non work-type visa could legally work if they obtain a work permit (工作许可) but do not (immediately) update their residence permit to a work-type permit? For example, in the case of a spouse of someone holding a non-work-type residence permit who was to be hired by a Chinese company and issued a work permit, but who has not yet changed her residence permit to a work-type permit? Sorry, Tim, I know that the government’s official translation of the Exit-Entry Administration Law uses the word “OR”, but in fact the Chinese is clear that work is illegal unless you have both the work permit “AND” work-type residence permit. Thank you very much for this article. What if a person with holding a residence permit for private affairs wants to work obtain a residence permit authorizing work in China? Chengetati: As mentioned above, a person in China with an S1 visa or residence permit for private affairs is not authorized to work. Consider applying for a work-related visa and residence permit. Just looked at the American embassy website. It only certifies true copies of documents issued by the dep. of state. Do you know for a fact that documents issued by a state, such as birth certificates can be certified at the embassy? I couldn’t find any information except. from the American embassy website in UAE, where it clearly states the embassy does not authenticate state documents. Thank you! I mentioned above that proof of relationship (e.g., marriage certificate or birth certificate), if not issued by the Chinese government, must be authenticated by a PRC consulate in the country of issuance or otherwise comply with local rules (e.g., Beijing and Shanghai will accept a certificate issued by a foreign consulate in China). But you’re correct that a U.S. Consulate–under their own rules–won’t issue a U.S. marriage or birth certificate. So get your U.S. marriage or birth certificate authenticated by a PRC consulate in the U.S. I have bought my family to China through S2 visa for short stay of 3-6 months. i have valid work permit & residence permit. Do i need to register in local police station for my family. I read in internet, for S2 visa the local police registration is not required. the local police registration is mandate only for S1 visa holders. Ramaraj: The requirement to register one’s temporary residence with the public security bureau (PSB) applies to all foreigners. See China: Foreign Nationals Must Register with Local Police within 24 Hours. Hi. I am a PhD student at Zhejiang University, Hangzhou, China. My wife has recently joined me on S1 visa. She is a medical doctor. How can she obtain a work visa? See our Z Visa Guide.